Envelopes, colourful. Strong and nice! But why the odd figured denomination… 21.1 cents?? I like to see envelopes on a stamp – especially when it is opened and shows its coloured lining! These stamps were promoting the newly introduced postal code for machine sorting. ‘Mr. Number’ was a known character at that time – I remember the paper cut-out of this figure was floating in my local post office. When I posted the last stamp I thought about this one, as a bird is used as a symbol of delivering messages or good will. 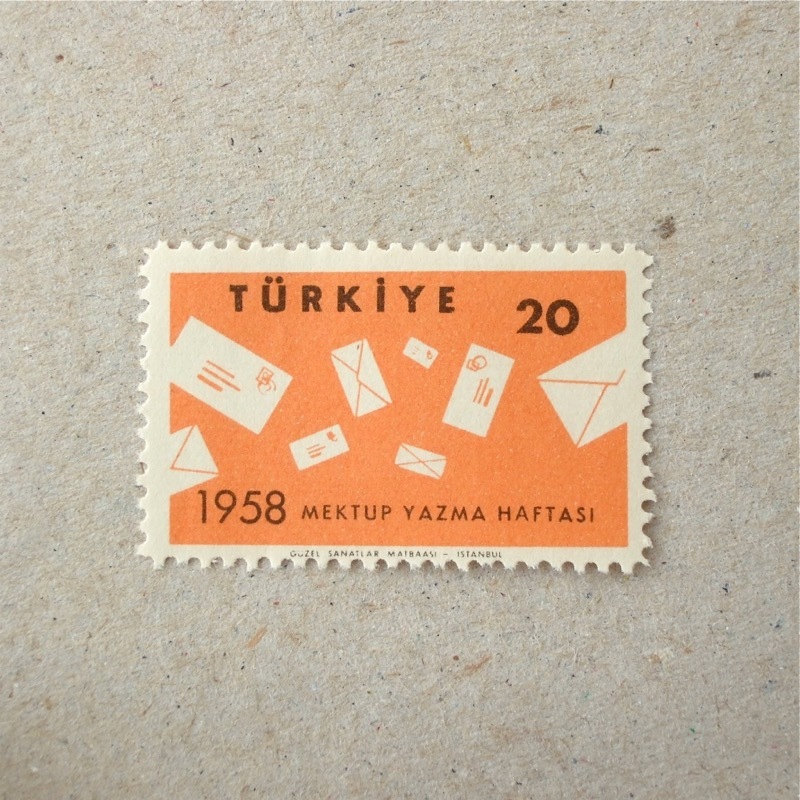 Bright colours and simple composition – very pleasant to receive an envelope or card with these stamps, I think. From my previous post, this is another bird carrying a letter, from Germany. I never knew how a carrier pigeon takes a message while flying – no doubt, not by beak, I guess… OK, according to wikipedia it was a little tube on their feet, but some of those pigeons carried up to 75 grams of messages! It has been a year since the Tohoku Earthquake happened on 11 March 2011. There are still a lot of people living in temporary housing, and the debris of towns and cities washed away by the Tsunami are still piled beside the roads in many areas. The nuclear power station is still in the cooling down stage before sealing it off. This set of stamps were issued to raise emergency support for the struck area, prepared within three months after the earthquake – I guess that was very quick compared to the normal process of issuing stamps. The design is the reflection of the wish of many Japanese at that time – willing to deliver a message that we are thinking of people who lost their loved ones and their homes. There was a charity concert in London last Sunday 11 March, to raise continuous support for Tsunami orphans. Music has a strong power to share, and unites this supportive wish. I was moved by slides which showed people around the world giving their encouragement to Japan after the tragedy.